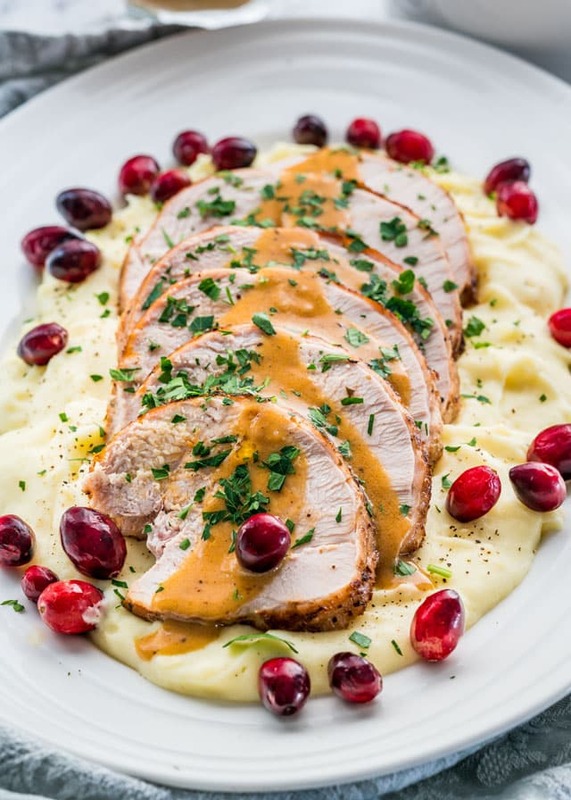 A simple and juicy turkey breast cooked in 35 minutes, while freeing up space in your oven. What could be better?! What a gorgeous Thanksgiving turkey complete with gravy made in the Instant Pot from the juices. Save time, oven space, and clean-up. 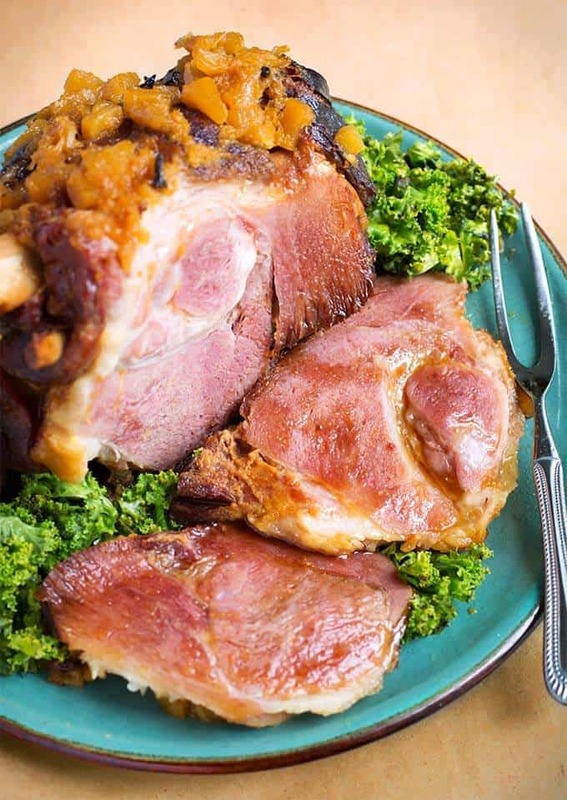 If you’re looking for something different this Thanksgiving than the traditional turkey, try this bone-in spiral sliced ham in your Instant Pot. This glaze is simple and keeps the ham moist. 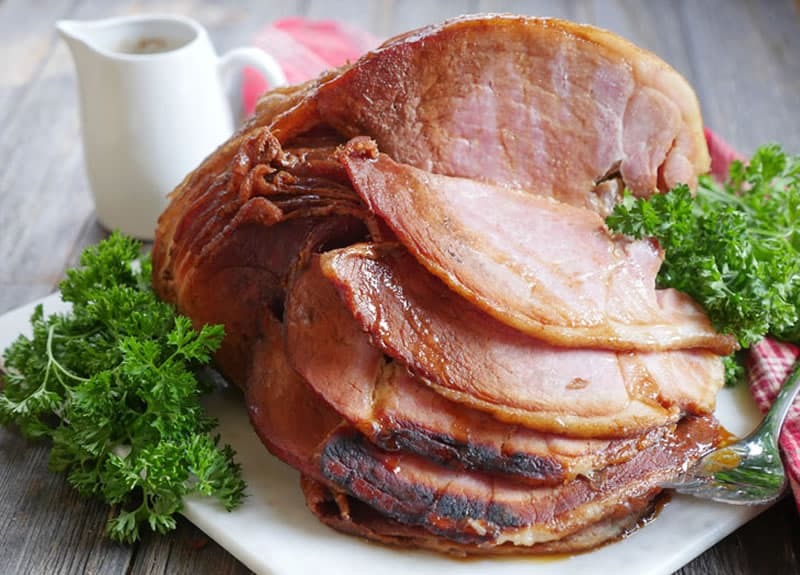 Make a gorgeous ham this Thanksgiving in your Instant Pot with pineapple, orange juice, mustard, and cloves. Delicious! Sure, the turkey is the gorgeous centerpiece, but everyone looks forward to the Thanksgiving sides the most – the stuffing, potatoes, and casseroles. They make the meal! 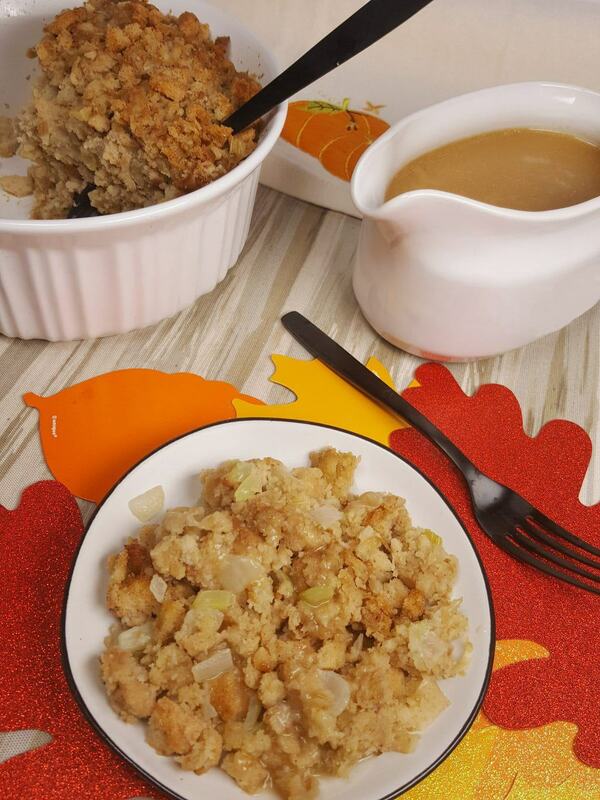 A basic, tried and true Thanksgiving stuffing recipe made with celery and onions the whole family will love – even the kids. Want to kick up your stuffing a notch? 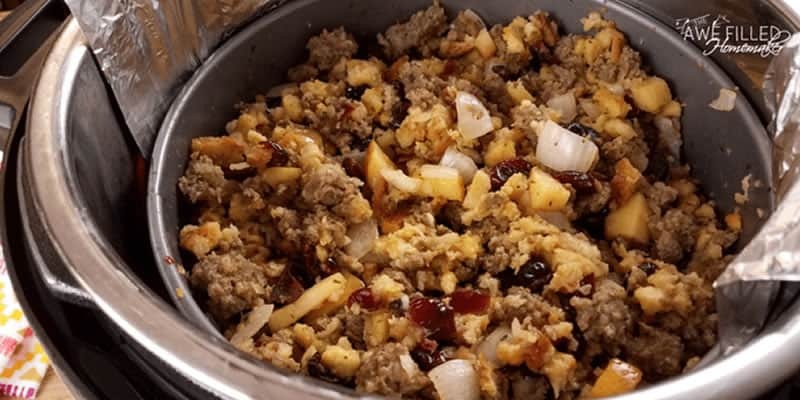 Try this recipe chocked full of sausage, apples, and craisins for a truly delicious Thanksgiving stuffing in your Instant Pot. 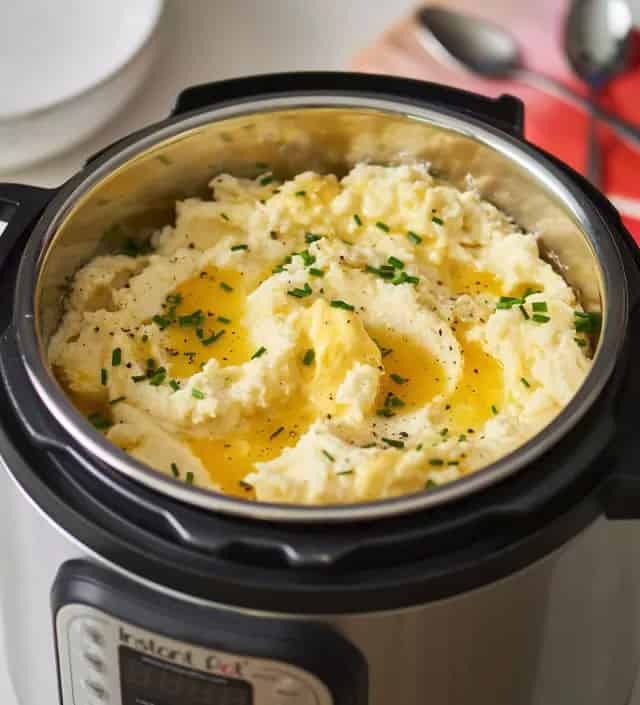 Make creamy mashed potatoes in your Instant Pot without worrying about a pot boiling over on the stovetop. 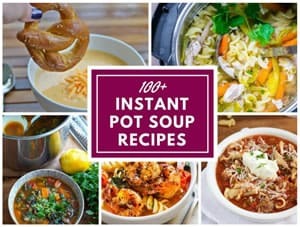 And, you can keep them warm for up to 2 hours in the Instant Pot, cause no one likes cold potatoes. 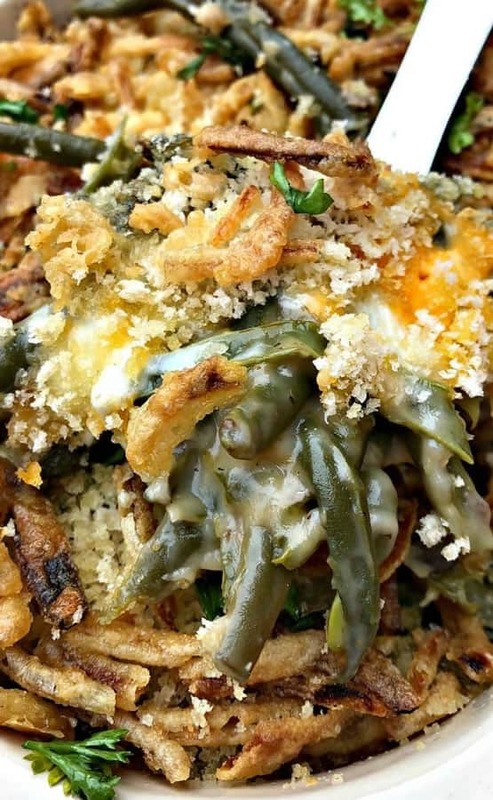 While you can make this Instant Pot green bean casserole any time of the year, its perfect for Thanksgiving when you want to set it and walk away. 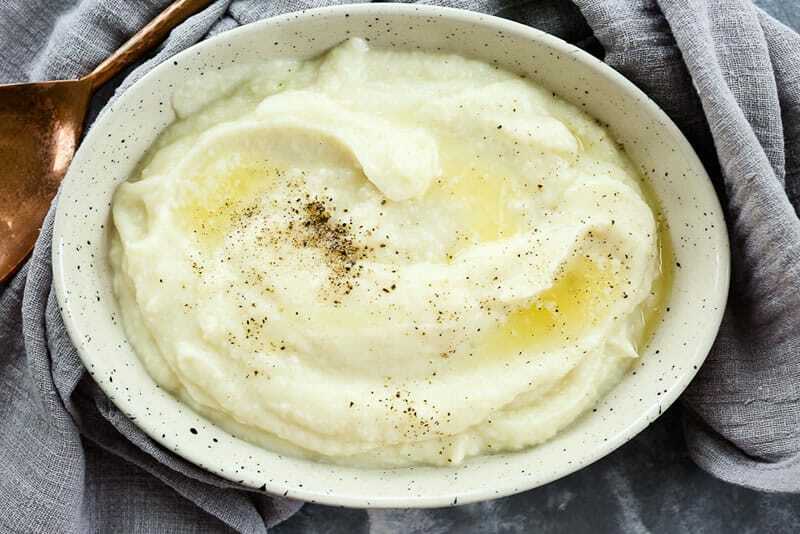 Cauliflower Mash is a great substitute for mashed potatoes. This recipe has butter and cheese, but you can easily replace the butter with olive oil and omit the cheese for a Whole 30 and Paleo friendly option. 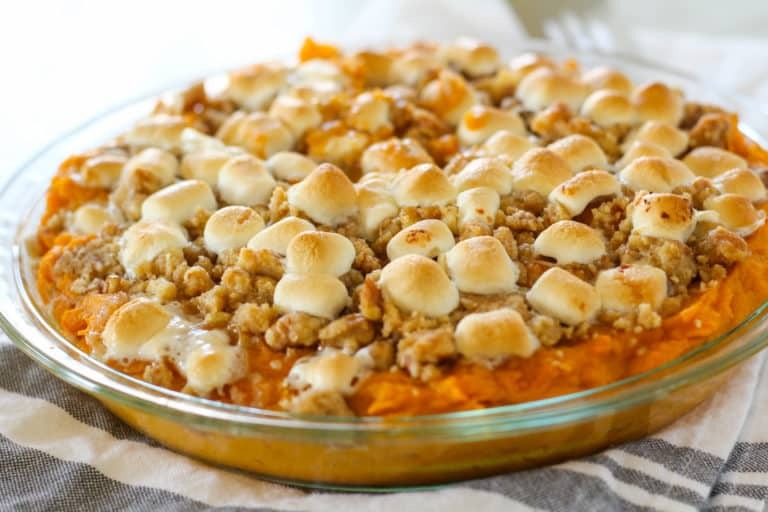 Do much of the heavy lifting of this sweet potato casserole in your Instant Pot, you’ll finish this dish in the oven. 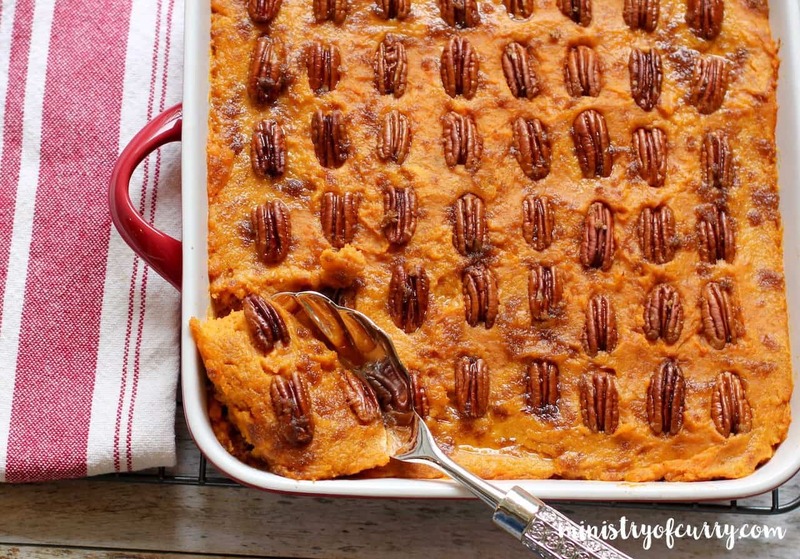 This vegan sweet potato casserole is lightly sweetened and makes the kitchen smell amazing with cinnamon, nutmeg, and allspice. These brussels sprouts will be a hit, even with those who don’t like brussels sprouts, because of the bacon, craisins, and a balsamic glaze! 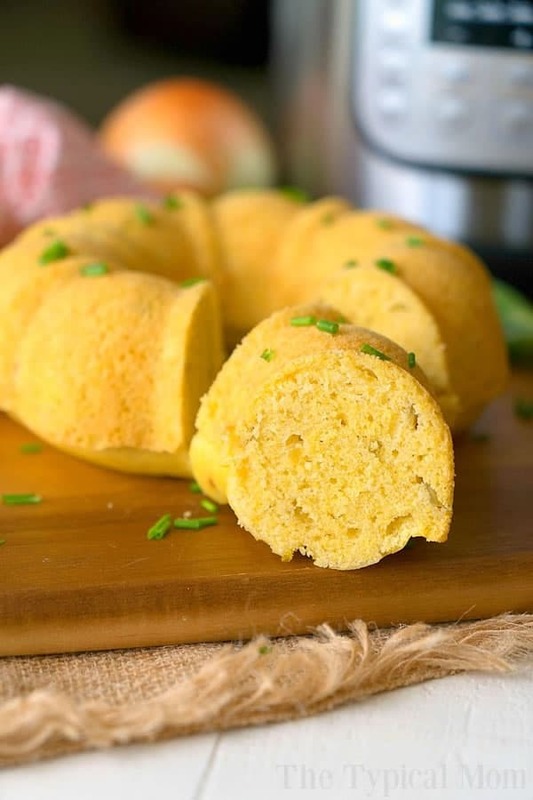 Justine makes cornbread look good in this 6 cup bundt pan in her Instant Pot. It makes a gorgeous side dish for the holidays. 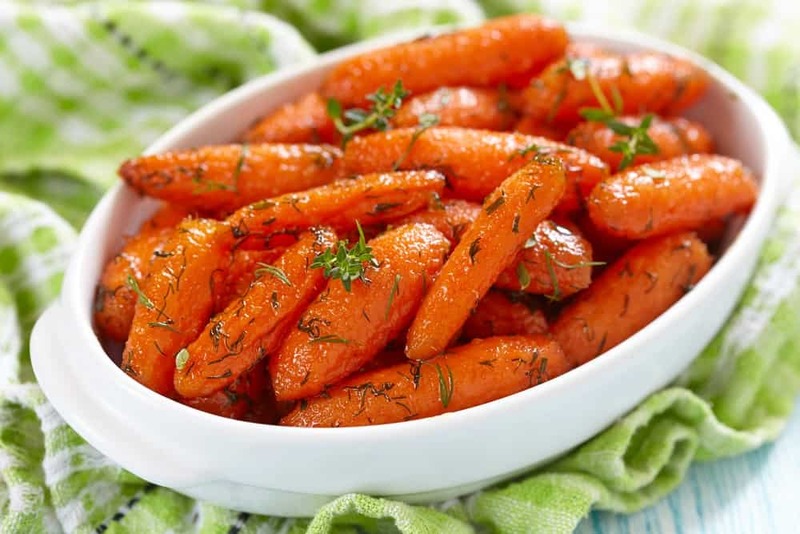 Make perfect carrots in 15 minutes in your Instant Pot. A perfect quick and easy side for your Thanksgiving table. 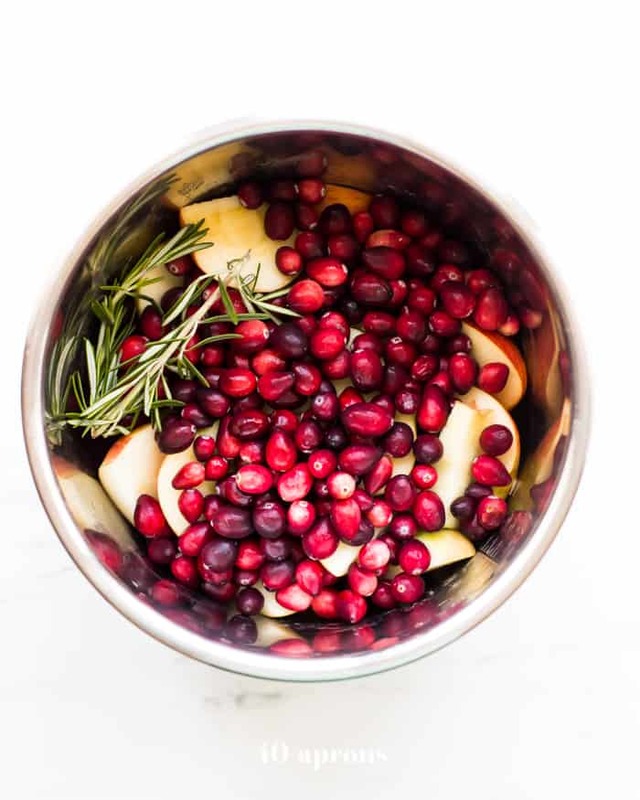 Homemade cranberry sauce in your Instant Pot in 8 minutes! And, its Whole30, Paleo, and Keto friendly. You can’t beat that! Dessert is a big part of a Thanksgiving feast! But who has the oven space? 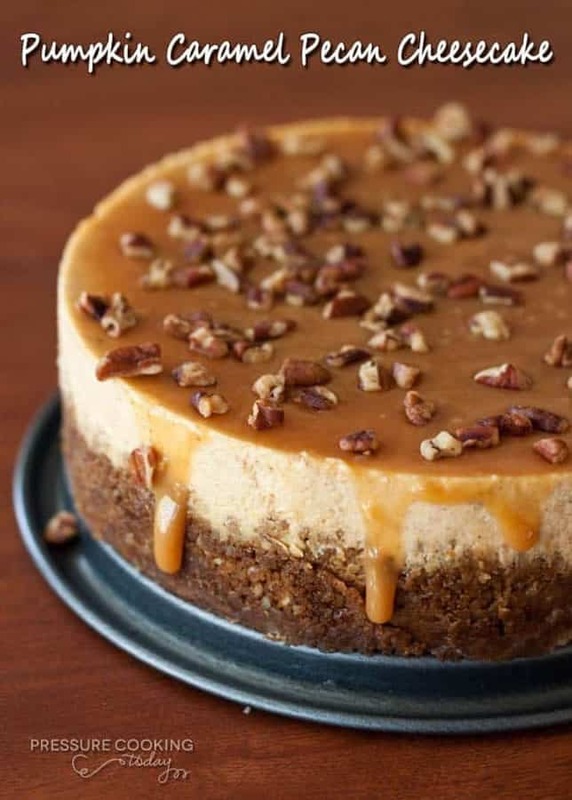 Using your Instant Pot, you can make delicious desserts without all the fuss. I couldn’t think of a better Thanksgiving dessert than this combo between a pumpkin cheesecake and a pecan pie. 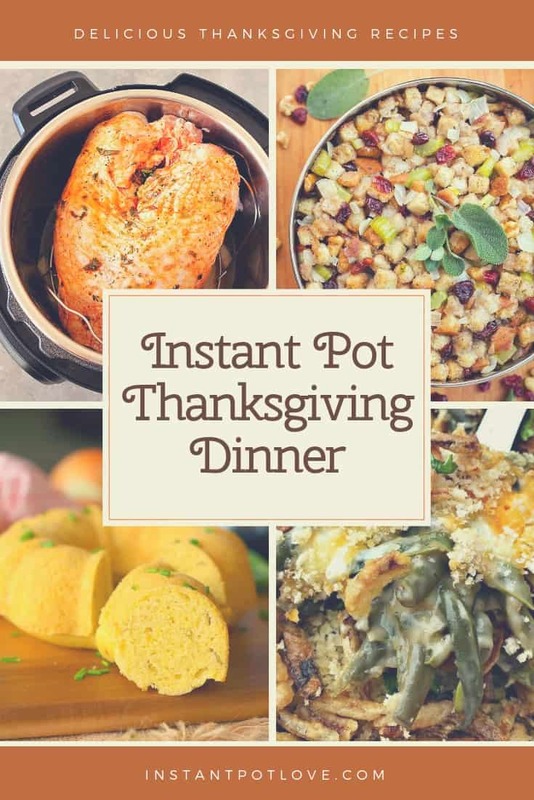 And, its all done in the Instant Pot saving you oven space for all your other holiday dishes! Have you ever had crunchy apple crisp? 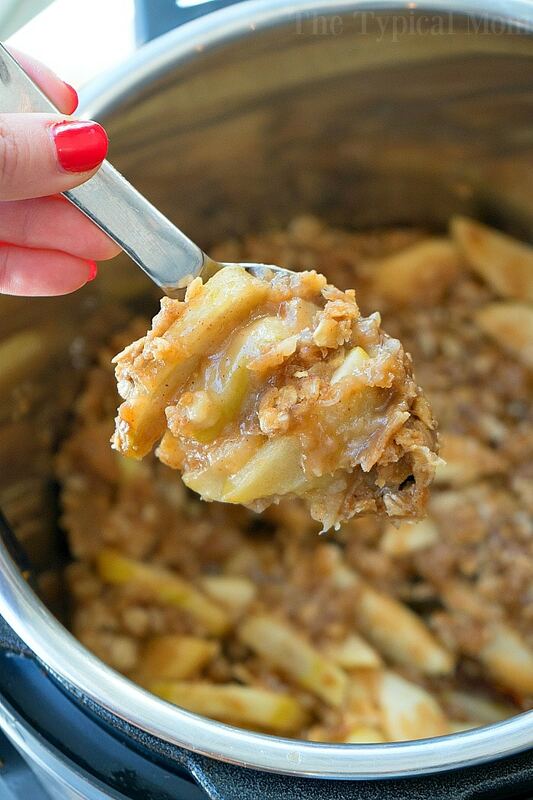 I have because it can take a long time in the oven to bake, but with this Instant Pot apple crisp recipe, you can have a delicious dessert in no time! 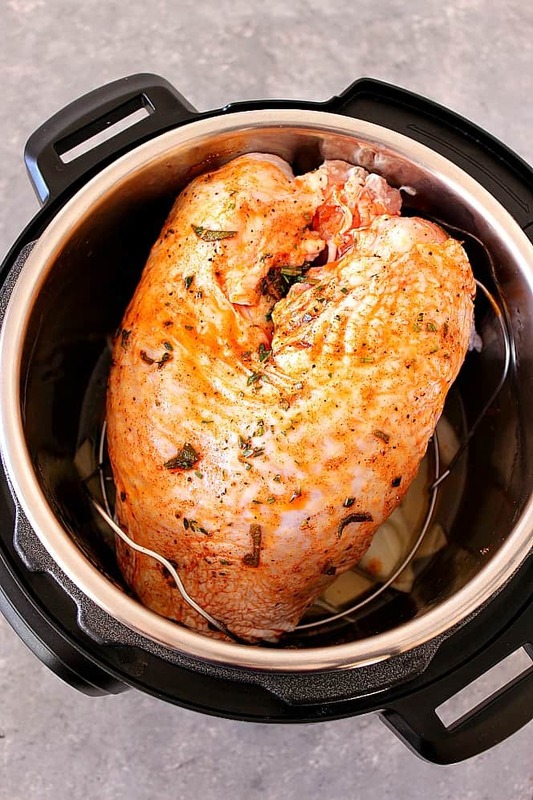 You can make an entire Thanksgiving meal in your Instant Pot, so whether you do a side or two in the Instant Pot or the entire meal, you will save time, oven and stovetop space with these Thanksgiving Instant Pot recipes.